About a month ago, Scout’s normal herky-jerky grooming moves suddenly got too aggressive and she started pulling out her fur in clumps. A quick trip to the vet revealed that she had gotten a couple of flea bites during her outdoor playtime, and apparently Scout is extremely allergic to the bites. She got a flea treatment and a steroid injection (and can now lift a car over her head), it took about a week but she did return to normal. 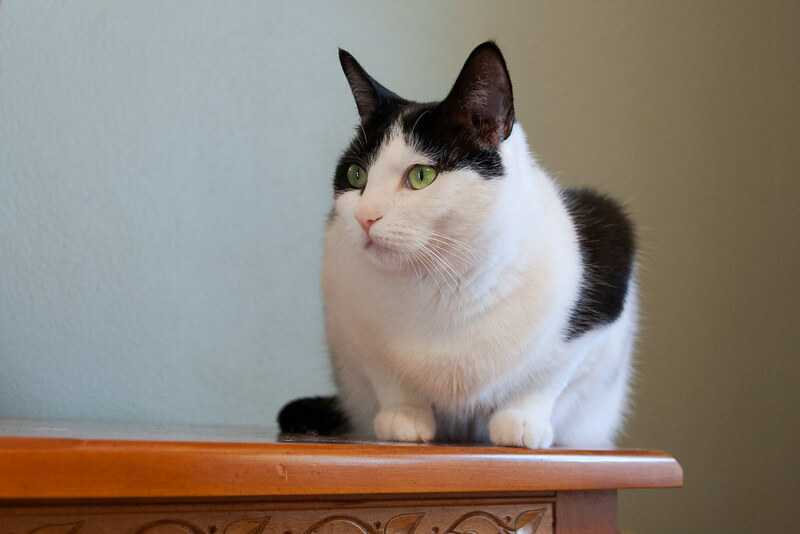 The hair has started to grow back on her belly and tail, but it will be a little thin for a while yet. 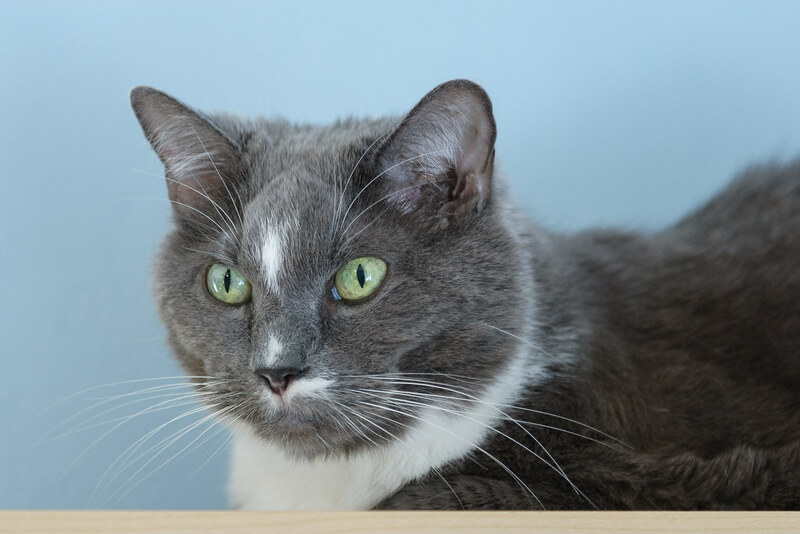 NOTE: If you’re looking for info on the medical condition fleabitis and not a joke about my cat’s flea allergy, it’s actually spelled phlebitis, and you can find more info on it at places like the Mayo Clinic or any other source of medical info on the web. There were several aspects I wanted to capture in this picture of an elk in Yellowstone National Park. There’s a slightly comical aspect in that the sleeping bull is almost invisible save for his antlers which stick up out of the tall grass and completely betray his presence. The bull isn’t really trying to hide, but I wondered if he wouldn’t have preferred at that moment to be able to just take the antlers off while he slept, if only so he could lay his head wherever and however he liked. 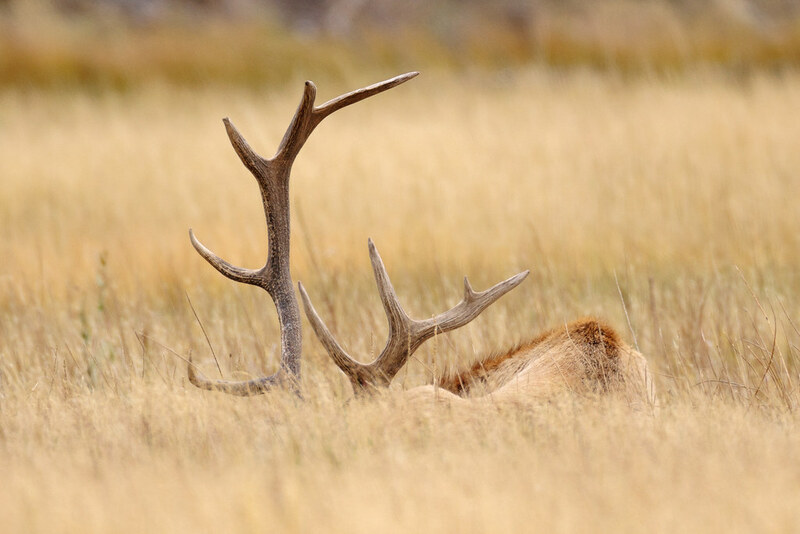 I also wanted to convey the exhaustion the bulls feel at the end of the rut. He slept most of the time I watched him, but couldn’t resist raising his head and answering the call whenever another bull bugled in the distance. Fortunately all of the people watching him kept their distance so he was able to rest in the quiet periods. A couple of weeks before I visited, one of the bulls had its neck snapped while it was sparring with one of the other bulls. These fights usually aren’t fatal, but add in disease, predators, and the long winter, and I do wonder how many of the animals I see will still be around come spring. 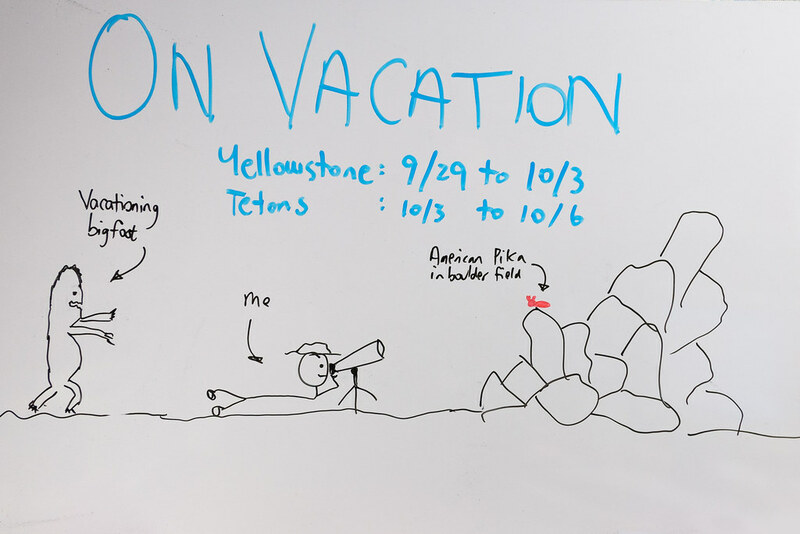 My whiteboard before I left for this year’s trip to Yellowstone and the Tetons.